On Monday 16th July, the Year 6 pupils at St.George's attended their Leavers' Mass at our parish church. 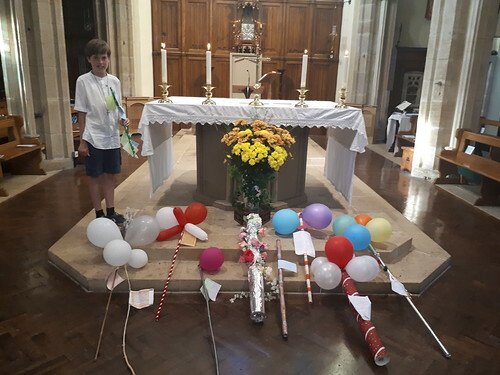 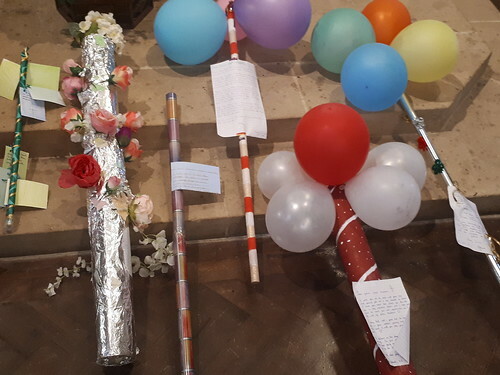 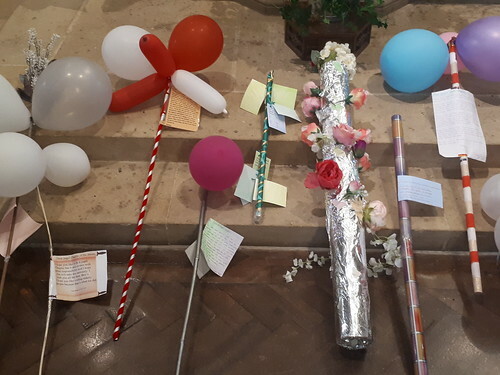 At the beginning of the Mass, the Pupil Chaplains presented their prayer poles on the altar as a sign of their collegiality and bonds of spiritual friendship, to keep in touch with each other and with God. 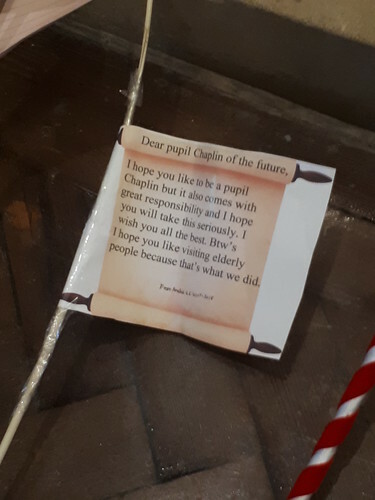 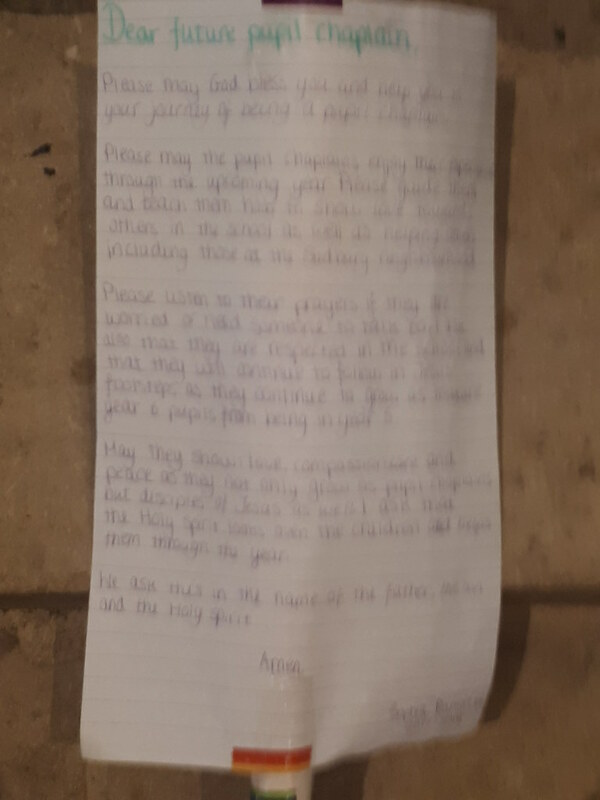 On each pole was a prayer and special message for the school Pupil Chaplains next year.